"A novel about a contemporary Harvard-educated Bangladeshi woman struggling to be true to herself as well as her heritage; the completion of Anam's three-generation trilogy about Bangladesh." 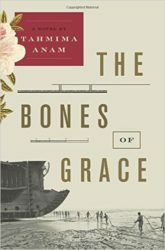 Touching, provocative, and poetic, The Bones of Grace brings to life one of the world’s most turbulent places. Yet the novel achieves its power not by focusing on political unrest but by chronicling the difficult life transitions of a passionate young woman. Zubaida startles and fascinates as she questions cultural tradition and personal loyalty, and it’s thrilling to cheer her on at every turn. ...the emotions of characters Zubaida and Anwar, which she lays bare in prose at once raw and lyrical, will hook you by the heart and reel you in. A good thing, too, because otherwise you wouldn’t get to savor the way the author (finally) ties together their two story lines ... The trilogy concludes with a flourish; The Bones of Grace not only surpasses its muddled predecessor, The Good Muslim, but outdoes , A Golden Age, despite the latter’s greater kinesis. Anam deftly explores historical complexities while vividly dramatizing Zubaida’s struggles to discover lasting love, meaningful work and her true parentage ... Anam’s novel is a seductive, lively end to the trilogy. It is also wordy at times — more than 100 pages longer than each of the previous books — perhaps because Anam is naturally most captivated by the concerns of her own generation. What did you think of The Bones of Grace? 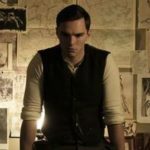 Tolkien estate disavows the new Tolkien biopic. The "lost art" of lyrical sports columns. Wen Stephenson on climate catastrophe books.